A few items worthy of note as we ring in 2014. This list of New Year resolutions for Kentuckians includes a few history-related things to do, including some sites that every citizen of the Bluegrass State should visit. I’ll add one more assignment for Kentuckians in 2014: If you haven’t already, read either Thomas Clark’s classic history of the state or the more recent volume by Lowell Harrison and James Klotter. Speaking of knowing your local history, all you folks in Winston-Salem should get acquainted with your town’s Rev War namesake. We’re getting a new statue of Sam Houston here in Tennessee, where he made a name for himself before heading off to Texas. There’s also a new Civil War Trails marker going up in Maynardville, just down the road from my neck of the woods. Zachary Keck argues that Americans’ fondness for revolutions is misplaced, and stems partly from our own revolutionary beginnings. But he also claims that the American Revolution wasn’t all that revolutionary, because it didn’t upset the status quo. Keck notes that most revolutions don’t create stable, free societies; real progress is due more to evolution than revolution. But should we consider the democratization of the nineteenth century to be an effect of the American Revolution or an example of gradual evolution? Gordon Wood took the long view of the Revolution as a process that turned America away from the hierarchical, colonial past and toward the democratic, egalitarian nineteenth century. Taken as a discrete event which ended in the 1780s, though, the Revolution seems more limited in scope. I guess it all depends on your perspective. By far the year’s most popular post here at Past in the Present was a 2012 item about an off-color anecdote told by Abraham Lincoln which made its way into Spielberg’s film. I’d like to pick a best American history book of 2013, but most of the books I read this year had already been in circulation for a while. People have been writing history books for a lot longer than I’ve been reading them, so I spend most of my reading time trying to catch up with backlisted titles. As for the best American history book I read in 2013, I’d probably go with Rachel Klein’s Unification of a Slave State: The Rise of the Planter Class in the South Carolina Backcountry, 1760-1808. Next year the Tennessee State Museum is mounting an exhibit on slavery at the Wessyngton plantation, which at one point was the largest farm in the entire state and the biggest tobacco-producing plantation in the country. Archaeologists from UT have been studying the plantation’s slave cemetery, site of some 200 burials, as part of the preparation for the exhibit. USA Today has the details. Looks like it’ll be an interesting display. What impact will minority museums have on majority visitors? There’s a movement underway to add a new National Museum of the American Latino to the Smithsonian system. 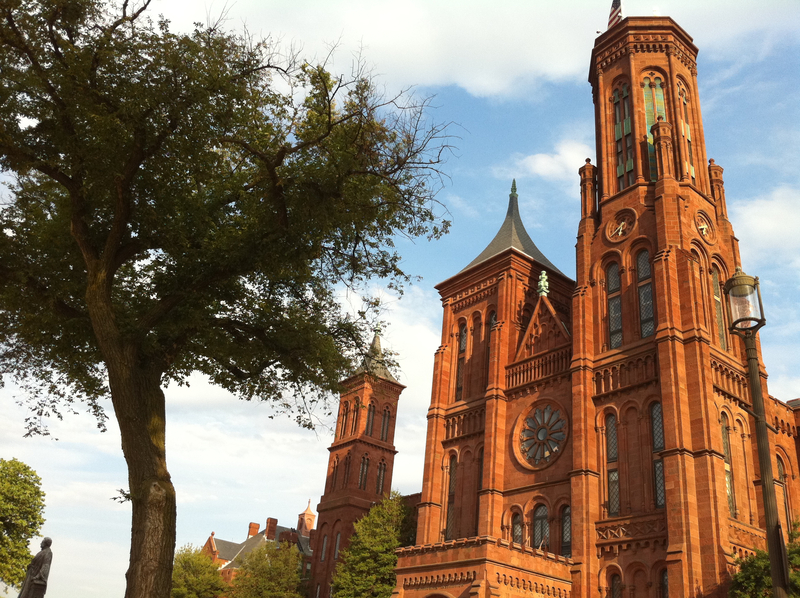 The NMAL would be one of several Smithsonian museums focused on the experiences of particular ethnic groups, alongside the National Museum of the American Indian and the National Museum of African American History and Culture (slated to open in 2015). There’s also been some recent activity in an effort to put a women’s history museum on the National Mall, so we could be seeing quite a few new D.C. museums focused on the history of various minority groups in the coming years. I’ve always been of the opinion that you can’t have too many museums. Going to museums is one of my favorite things to do, so every new facility means something else I’ll get to enjoy visiting. At the same time, though, part of me worries that these new museums might lead to some unintentional “re-segregation” of public history. The National Museum of American History is a popular destination, and “American history” is a subject broad enough to appeal to a lot of people. Trying to encompass everybody’s history under one roof has its disadvantages; you don’t get as many chances to cover minority-related subjects. But when a general museum does mount an exhibit on the history of a minority group, it exposes visitors of a variety of backgrounds to the material, even visitors who wouldn’t normally visit a museum focused solely on minority history. How many people who weren’t necessarily interested in twentieth-century black history got to experience the NMAH’s highly successful “Field to Factory” exhibit on the Great Migration? Indeed, one wonders how many thousands of people have been exposed to specialized aspects of history at the NMAH just because they came to see the Star-Spangled Banner and then decided to explore the other exhibits. I should point out that I’m not saying your average white visitor to the Smithsonian is a closet racist who will consciously avoid a black or Latino history museum. I’m just saying that it might not occur to them that such a museum would be of interest. The problem I’m concerned about here is visitor apathy, not hostility. White Americans shouldn’t think of black or Latino history as “somebody else’s” history, but as critical components of American history as a whole. And I definitely don’t want to give the impression that I think the construction of any of these museums would be a bad thing. I just hope white visitors to D.C. don’t assume the new museums are irrelevant to them and miss out on all they have to offer. On the other hand, maybe the addition of new museums focused on minority history will have the opposite effect. Maybe a lot of white visitors to the Smithsonian will pay their first visit to a black history museum when the NMAAHC opens, since the new building will be right there on the Mall, in a location frequented by tourists who are passionate about their country’s past. As many of you probably know, Michael Kammen passed away a couple of weeks ago, ending a distinguished career marked by several important books and a term as president of the Organization of American Historians. Coincidentally, when I found out about Kammen’s death I was about to start re-reading his book A Season of Youth: The American Revolution and the Historical Imagination. In this work, he argued that a common theme in fiction about the American Revolution was the notion of the founding as a rite of passage. Novelists have portrayed the War for Independence as a national coming-of-age story, and many have amplified this theme by populating their stories with characters on the verge of adulthood. For these characters, participation in the Revolution marks a transition to maturity, so that their own life stories reflect the larger story of their country. Many of these novelists have also employed generational conflict as a narrative device, with their young characters chafing under parental control just as America sought independence of a different kind from the mother country. Kammen’s book deals primarily with novels, plays, and imagery. He relegated films about the Revolution a short sub-section of one chapter, due to a scarcity of original material. In the three decades since the publication of A Season of Youth, we’ve seen a few more (but not that many) theatrical and TV movies about the Revolution, and for the most part I think his thesis still holds up. 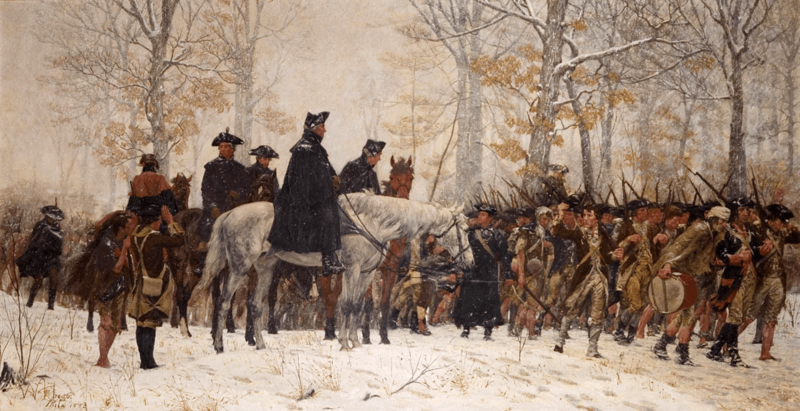 In fact, the most successful recent movie about the Revolution fits Kammen’s argument to a T. The Patriot is a story of generational conflict between Benjamin Martin and his oldest sons. Martin knows what sort of devastation the war with England will bring and is reluctant to get involved, while the two boys are eager to enlist. The protagonist gets dragged into the war by his children, one of whom is burning with patriotic idealism, and one of whom seems more fascinated by the trappings of war than anything, playing with toy soldiers and trying on his father’s old uniform coat. There’s another way in which The Patriot supports Kammen’s thesis. He argued that by pitching the Revolution as a coming-of-age, Americans have also domesticated their own history. We’re a nation born in revolution, but we value order and stability. If the founding was a passage into adulthood, it was a one-time event that doesn’t need to be repeated. The notion of the Revolution as a rite of passage is thus a way of celebrating our violent and radical beginning without endorsing the overthrow of the status quo. The Patriot’s closing scene shows us the Martin family returning to the site of their burned home at the war’s end. When they arrive, they find white and black veterans of Martin’s command working together to build them a new dwelling. The implication is that the destructive work of war and revolution is over, and it’s time to move on to the constructive work of building on a foundation. The movie thus emphasizes the possibilities the American Revolution opened and passes over the issues it left unresolved. And it would take another such violent upheaval to resolve some of them. “Abraham Lincoln and the Technology of War” will open to the public on January 14, 2014. The exhibit will remain on display through July 6, 2014. Admission is included with regular daytime visit tickets to Ford’s Theatre, which is free but requires timed entry tickets. Tickets may be reserved in person at Ford’s Theatre Box Office, through Ticketmaster at 800.982.2787, or online at http://www.fords.org.